Welcome to today’s Indie Author Weekly Update. If you only read one story, read Jane Friedman’s on a smarter author platform. And if you only have time for one Facebook story, read the first one below under Facebook stories. It will be interesting to see in the coming weeks how Facebook handles its personal security and advertising issues. This week’s Indie Author Update focuses heavily on Facebook for obvious reasons. Be sure to read the post by Charlie Warzel, the first one in the group of Facebook stories below. And of course be sure to read the first post I mention below by Written Word Media because it’s brilliant. 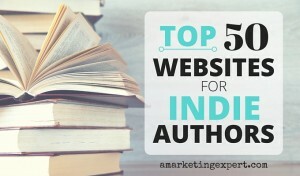 This week’s Indie Author Update includes posts that I really like. Yeah, I suppose I shouldn’t use the word really but how else to describe these posts other than to use the word love, which just wouldn’t work in this context. So please read Jane Friedan’s post on book reviews because this is a question every author asks me. Dave Chesson’s post on Amazon categories is brilliant as usual. And if you want your book to be a BookBub featured deal, you absolutely must read the first post listed below. All the posts below are must-reads. And have a great weekend, too! 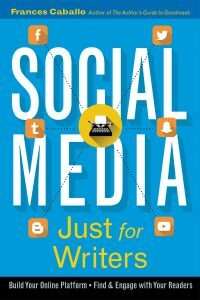 Author of this blog: Frances Caballo is an author and social media strategist and manager for writers. She’s a contributing writer at TheBookDesigner.com and has written several social media books including the 2nd edition of Social Media Just for Writers and The Author’s Guide to Goodreads. Her focus is on helping authors surmount the barriers that keep them from flourishing online, building their platform, finding new readers, and selling more books. Her clients include authors of every genre and writers’ conferences. Not sure how you’re doing online? Sign up for my free email course. This week’s Indie Author Weekly Update covers a lot of topics and all but one focus on some aspect of selling your books. I hope you enjoy these posts. Welcome to this week’s Indie Author Update. Be sure to listen to the podcast with Dave Chesson. It’s awesome. I also love the post by Susan Wolfe because it teaches us to never give up as writers. Well, summer is definitely coming to an end. I hope you enjoyed the season.